Since 2011, Jerry Whitlock has been a loyal, respected EMS provider and leader at LifeCare Medical Transports. His calm, friendly demeanor has helped not only his patients, but also the employees who he has trained in his role as Field Training Officer. From his earliest days with LifeCare, his ability to lead by example has proven to be an invaluable asset to the agency. Jerry’s excellent leadership skills helped him to earn the respect of his peers, as well as of LifeCare’s leadership team. 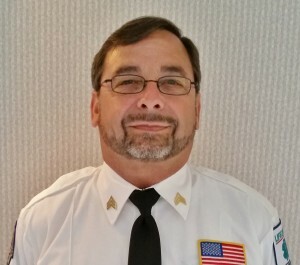 In 2015, Jerry was selected as the Sergeant to oversee LifeCare’s King William 9-1-1 station operations. Starting from scratch, Jerry built a new team of providers with a strong, healthy work ethic, and who took pride in their work. His excellence in both internal and external customer service led to his recent promotion to Lieutenant of the King William 9-1-1 station. His contagious smile and “can do” attitude are exemplary. LifeCare Medical Transports is proud to nominate Jerry Whitlock as an American Ambulance Association 2016 Star of Life.